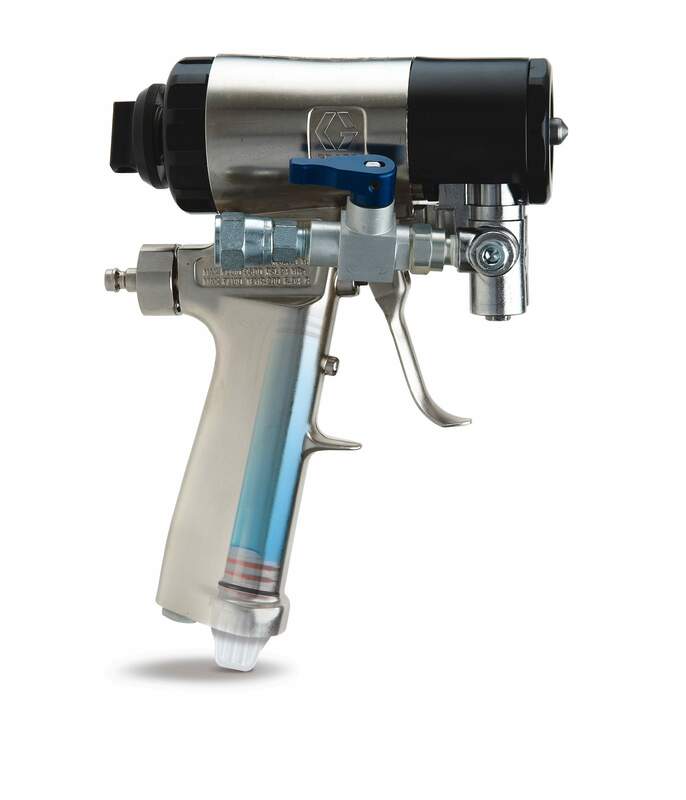 The Graco H-VR Reactor is designed for unique applications, such as spray foam. 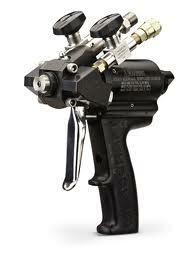 The Graco H-VR allows the end-user to spray infinitely variable volumetric ratios ranging between 1:1 and 2.5:1. 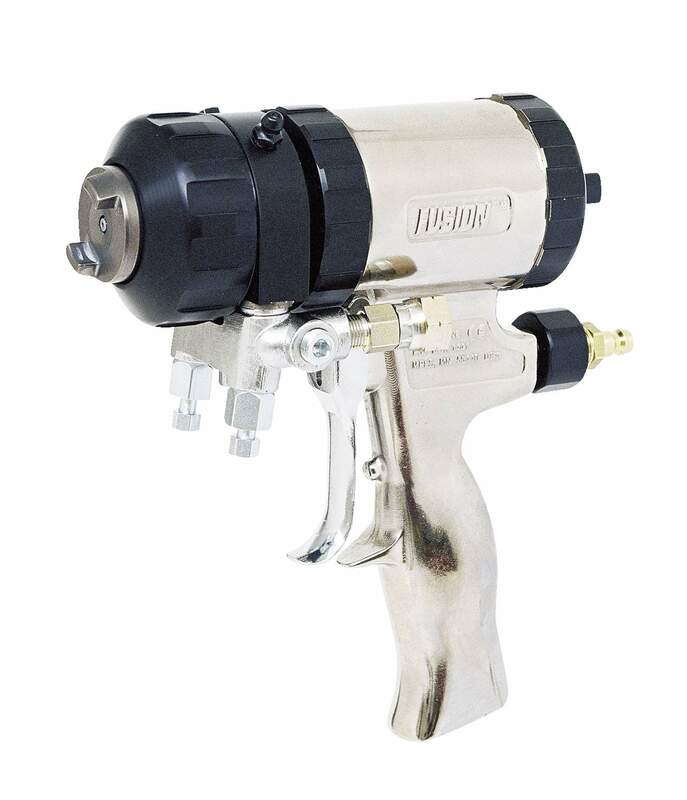 Maximum fluid output will vary depending on ratio setting, ranging from 15 lbs/min (1.5 gal/min) at 1:1 ratio, to 10 lbs/min (1 gal/min) at 2.5:1 ratio. 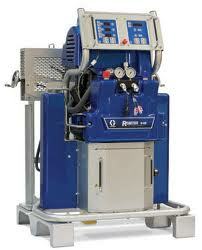 The Graco H-VR proportioners are only available for sale as bare machines. No system level packages were created due to the wide variety of off-ratio applications. 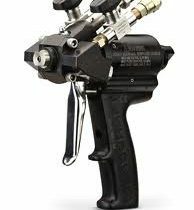 For each application, the gun and hose(s) will need to be selected based on the requirements for that particular application. 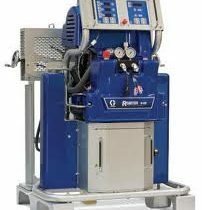 With the addition of the Graco H-VR to Graco’s Reactor product line, Graco will discontinue the GlasCraft MH proportioners. 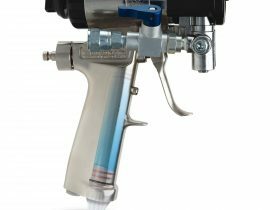 However, Graco will continue to support spare parts for the MH units, as is customary when any product line is discontinued at Graco. 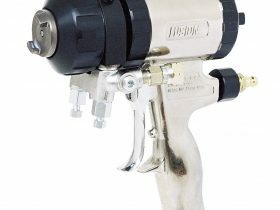 Glascraft are suppliers of high quality plural component systems for spray or dispense applications including resin spray, gel coat spray, foam spray, insulation spray, polyurea spray, RTM inject plus grp handtools, laminating rollers, demoulding wedges, air powered mixers, drum heaters, paddle rollers, catalyst dispensers. Unit 5B, Lowercroft Business Park, Lowercroft Road, Bury, Lancs, BL8 3PA. Registered office: Unit 5B, Lowercroft Business Park, Lowercroft Road, Bury, Lancs, BL8 3PA.